Clear View Mobile Screening is the premier choice for security screen door installation, repair, and replacement in Orange County. 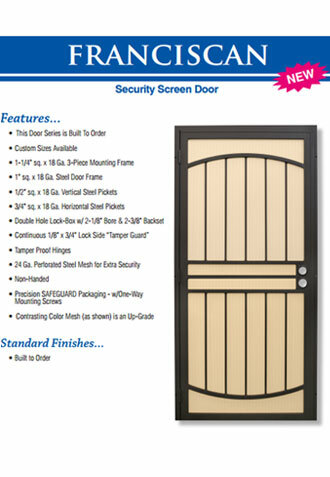 We specialize in customizing beautiful, reliable, and long-lasting security screen doors at very competitive prices. 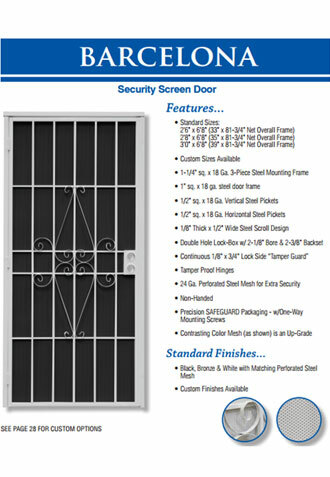 Our security screen doors are custom built, bolted to the facia of the doorway using security bolts, and available for single and double door applications. 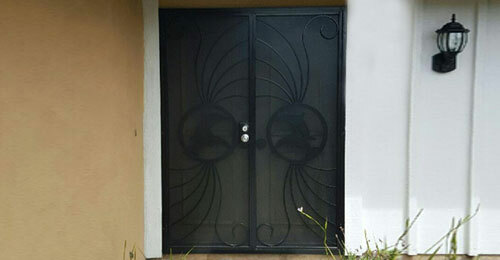 We've been installing security screen doors for residential clients since 1995 and have thousands of satisfied clients. Because we provide professional service and superior results at a great value, we have earned the Angie's List's Super Service Award for five years running and maintain an A+ rating with the Better Business Bureau. 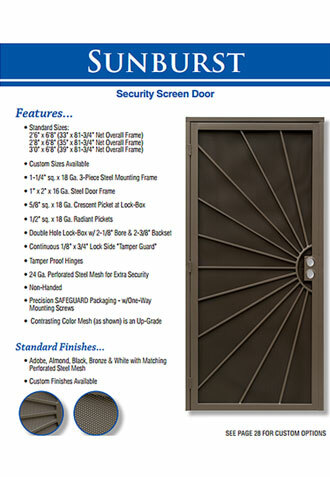 Our security screen doors are made from either 1" or 1¼" steel tubing that is given either a black, white, almond, bronze, weathered brown, or adobe powder coated finish. 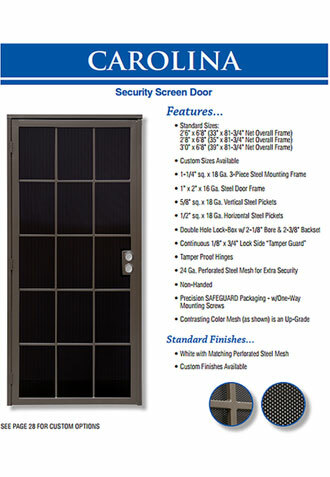 Unlike most other companies who typically install 3-sided door assemblies, our security screen doors have a four-sided assembly. This lets us use sill adapters to keep out bugs and rodents, as well as create a more professional look. Our doors also feature tamper-proof hinges, a deadbolt lock, and perforated steel mesh for added protection. In addition to improving security, these screen doors are also designed to look attractive and complement your home. There are more than 20 designs and looks to choose from, including dolphins, palm trees, scrolls, vines, and modern lines. Additionally, we can make any of our designs pop by using contrasting colors for the frame and the mesh screen. Call today for an over-the-phone estimate or to schedule an on-site appointment. In order to give you the best results and an accurate price quote, we will take careful measurements of your door frame and provide recommendations based upon your unique security door needs and design preferences. We've served customers throughout all of Orange County, including but not limited to Irvine, Aliso Viejo, Mission Viejo, Huntington Beach, Costa Mesa, Newport Beach, Lake Forest, and surrounding areas. Absolutely great experience, had seven windows and two sliders and two retractable door screens installed. After thirty years in architectural design and working with over hundred contractors and sub-contractors, good and bad, I can honestly say that Sam is as good as it gets . . .